As reported, cryptocurrency trader and analyst Luke Martin (a.k.a. Venture Coinist) suggested yesterday that any bets that were on BSV are going to flow into BCH, as more exchanges are likely to follow major exchange Binance and delist BSV. The exchange confirmed on Monday that it will delist the coin on April 22. Erik Voorhees, founder and CEO of Switzerland based crypto exchange ShapeShift, confirmed yesterday that the company will also delist BSV "within 48 hours". Additionally, major cryptocurrency wallet Blockchain said that they "have determined to end all support of BSV within the Blockchain Wallet by May 15, 2019." 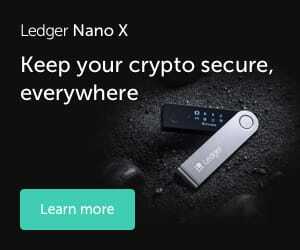 "We’re invested in the long-term health of the crypto ecosystem and are mindful to support cryptocurrencies that are reliable, safe, and convenient," the company said, adding that their users should swap BSV for another crypto in the Blockchain Wallet or send the tokens to another service. 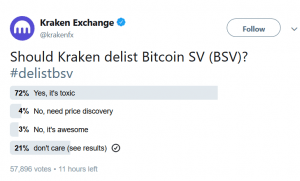 Meanwhile, another popular exchange, Kraken, asked their followers on Twitter whether the exchange should delist BSV. At pixel time, 71% out of almost 58,000 responses were in favor of the delisting. The exchange did not provide any other comments on the matter. However, some other exchanges confirmed that they'll keep BSV on their platforms. Major exchange OKEx said that BSV "currently does not meet our delisting criteria" and the company "has no intention to delist BSV for the time being." Also, in an interview, streamed via Twitter account @whalepool (a community of daytraders) on Monday, Paolo Ardoino, Chief Technical Officer of the Bitfinex exchange, also said he's against the delisting of BSV because this would harm their customers. In total, BSV can now be traded on 71 exchange. Also, big proponent of Bitcoin SV, Calvine Ayre, announced that a new "BSV-based" exchange, Float SV is going to be launched on April 19. 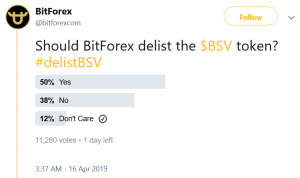 Meanwhile, the cryptoverse debates what does the BSV delisting mean for the industry and whether it might set a bad precedent as some some members of the community are already suggesting Bitcoin Cash should be delisted next. Censorship resistance does not mean "all companies must support the project". Delisting a blatant scam using shady marketing tactics is a big yes in my book. And $BCH deserves the same fate. I’m not a libertarian, cypherpunk, nor cryptoanarchist. But if you subscribe to those ideologies, you must support the mass-delisting of $BSV. Not because you agree with the decision, but because this is an excellent exercise in self-regulation by participants in a free market. Blockchain aren’t exchanges, and choosing not to actively support an asset on your platform isn’t censorship. There’s no contradiction in want a non-democratic bitcoin but wanting a democratic government, and a centrally controlled corner deli. Imagine if the CEOs of a couple of major grocery chains communicated publicly via twitter about refusing to sell a particular herring brand because they disagreed with herring company CEO's stated position about the origin of herring. The good: Sends a message not to use the State to enforce your crypto-worldview. The bad: Has created a precedent for social media campaigns to delist coins. 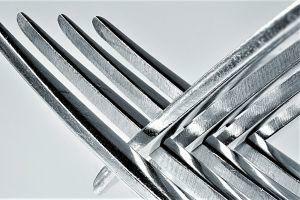 The ugly: Crypto-twitter trolls will start to exert pressure to delist perceived enemies. Not a fan of Craig or any corn forks but fk me, you can't bang on about decentralisation, economic sovereignty and then clap when an asset gets delisted bc of a personal disagreement w an unelected gatekeeper. That's not how free markets work. And no, I don't hold SV.